The Advertising Standards Authority (ASA) has banned an advert on Naked Wines’ website for being potentially misleading following a complaint. The complaint concerned an advert run by the merchant in August 2011, which offered consumers the chance to have £40 refunded to their account after making a purchase and then signed them up to a £20 a month Angels Account if they said “yes”. The ASA’s website explains that after making a purchase a customer would see and an advert asking: “Thank you. Now would you like your money back?” with two boxes underneath, one red stating: “No thank you, I have quite enuff (sic) already”, and another in green that read: “Yes please, it would be stupid not to”. A further heading underneath that asked why the merchant was doing such a thing followed by the text: “We are delighted to give you £40 now and 33% cashback on ALL future orders because, frankly, we would rather give it to you than Rupert Murdoch. Again under that was the heading “What do you have to do to get paid to drink wine?” whereupon it explained: “Show us that you are going to become a good customer by investing £20 a month into your Naked Wines account”. It was then explained that customers would be able to cancel their Angels Account at any time with a full refund. Naked Wines argued that it was explained that by clicking the green button, customers were opening an Angels Account and that the green button was linked to a page explaining the workings of the account and that customers were able to cancel and receive a full refund at any time. Nevertheless, Naked Wines said that it had amended the advert. A subsequent assessment by the ASA, however, decided that the amended advert was too similar to the previous one and upheld the complaint. The explanation on the ASA’s site agreed that although there had been a change to the order of the text and a broadening of the explanation regarding the deal and the Angels Account, “We considered that the ad did not make it clear that by clicking on the green button, the customer was signing up to open an Angels Account and would be charged £20 a month, which would go into the account towards future purchases. It ruled that the advert must not be run again in its current form. Gormley however has explained that it was not and indeed is not possible for consumers to lose money with the merchant through the scheme, saying: “Customers have to opt in to become Angels, by clicking a button. “The requirement to invest £20 a month was set out on the page in question, and not hidden in terms and conditions. “The Angel scheme has been designed so that there is no risk of loss to customers. Any customer signing up in error can cancel at any time and get their money back immediately. The £20 monthly payment is not a subscription or a fee or an investment. It is the customer’s money and they can do with it as they will. “The page in question was one step of a process, that includes a confirmation page, and an insert in the customer’s case and a monthly statement. I was interested to read the above article. I recently had a slightly different problem with Naked Wines but with the same result…I apparantly ended up an “angel” totally unknowingly. Just before Christmas I bought something on line through Amazon and received a voucher for Naked Wines….All I had to do was go on the web site to order the wine…type in the code and password and with a very positive “No requirement to join a wine club” I went ahead and ordered the wine. I am absolutely certain that I did not knowingly sign up to joining the wine club. So as you might expect, I was horrified to discover £20 had been taken out of my bank account during the first week of January. In fairness to them they responded promptly to my outraged email and have now agreed to refund the money, but not after trying to persuade me not to cancel my membership for a few more weeks when I would have had a £40 voucher…but then they would have taken another £20 out of my account. I have to say that i consider this type of practice of misleading people into becoming members of a club to be fraudulant and has made me even more wary of buying anything on line,,,,surely there should be some rule that stipulates that companies must flag up very very clearly if a customer is joining anything…with plenty of opportunities to decline and cancel before finally being signed up. I experienced exactly the same thing last week. I ordered something on amazon.co.uk and when receiving the package a voucher was included from naked wines. I went to check it out and simulated an order to know if it was interested for me (as I am from Belgium I wanted to know shipping cost etc) It was not interesting an I cancelled the order. A few days ago they withdrew 20 pounds from my creditcard without any confirmation of permission. I find it quite frightening that these things are possible. I emailed naked wines with the demand to refund me asap. I hope everything will work out. Me too! I was charged for exactly that! It is absolutely unfair practice. In addition, when I tried to cancel the account on the website. The exact problem, which described on the article regarding the green button, happened. I am fuming with their practice! ALL AUSTRALIAN CUSTOMERS PLEASE BE AWARE – Nakes Wine is doing very sneaky business. I was trapped until I realised today that they have deducted $40 from my bank account for 3 consecutive months. I have been using Naked Wines for a couple of years now and have no complaints at all. All Karen had to do was give it a try. You won’t be dissapointed. The whole angel system is hopelessly complicated – huge discounts are promised but not actually delivered as u don’t get discount on this, can’t use your angel cashback on that. Im a chartered accountant and struggled to work it all out. It seems designed to confuse. When i commented on the blog all angels were invited to use, all i got was stroppy abuse from mr gormley. It prompted me to go to virgin wjnes instead. Best move ever! The wines are more reliable and better value. Well done to the ASA for tackling this. I had the same experience as Karen and Silvia. I was blissfully unaware that Naked Wines were debiting money until I checked my credit card statement. I went to their website and cancelled my “Angel membership” (I don’t recall signing up for this). I’ve tried two of their wines from my first case so far. The first one was dreadful, the second one was very good. On that basis, I’m not rushing to buy any more. This also happened to me. Had endless probes with this company before Christmas. I too had a voucher in a parcel from Amazon, and ordered a box of 6 wines. Waited in all day on the delivery date and nothing. Phoned them up and after an eternity on hold to get through to someone, was told they’d look into it and call me straight back… They didn’t. The following day, still no wine, and no call back. Spent another good 20 mins on hold to speak to someone and they said they would phone the delivery driver and see what had happened as he had listed them as delivered! Said they would phone me back… They didn’t. The following day, you guessed it, another obscenely long wait on hold, this time understandably I was not amused! They apologised and told me the delivery driver had left them by my back door (there is no access to my back door from the front of my house, so unless the deliveryman scaled my roof this was impossible! They apologised, and sai they would send me a new box but it would be after Christmas! (wonderful… ) I said to cancel and give me a refund and then miraculously they decided they could get a box to me on Christmas eve. So, new box arrived, finally. Few days later, an elderly couple turned up on my doorstep, with 6 bottles of wine, unboxed and said they had found them hidden behind their wheelie bin and the box had disintegrated as it must have been there so long, they had made out my address and delivered it to me ( they lived 2 miles away?! Address sounded nothing like mine! ) called Naked Wines to tell them ( yep, another long phone call) they said they would arrange collection or I could have the further box for the same price as the first. To avoid spending more time on the phone, and more wasted days waiting in for incompetent delivery drivers, I said I would just keep it and pay for it. Then, after checking my bank account yesterday saw that another £20 had been taken from my account without permission! I have just sent an enail to them demanding immediate refund and an explanation as I am not spending another penny on phone calls to them! If you are thinking of using this company – don’t bother unless you like hassle and incompetence!! What a con! There is a depressing familiarity to these repeated negative stories about NW. As Victoria Moore pointed out last year, many people do seem to find themselves ‘tricked’ into becoming Angels by using one of NW’s many superficially attractive vouchers. This happened to my own elderly father recently (serve him right for being such a cheapskate maybe!) and he had to call to cancel only after noticing the deductions on his credit card status. What is especially irritating on these forums though is that you always get two types of comment – genuine customers who feel ripped off or mislead and then an army of so called ‘angels’ posting inane and vacuous positive comments. It is pretty obvious that these are NW’s PR people just trying to drown out the criticism. Their advertisement (or actually a post-purchase landing page) is still live as I was just mid-lead by it only a few minutes ago. It was only because I checked the fine print that I realised I actually had signed up for a 20 quid debit each month. Almost the same story, but thankfully the “£40 off 12 bottles at £80+” voucher only had £100+ cases available, so I emailed to cancel & request they erase my details. Three months on I’m still getting weekly emails, the last from rowan@nakedwines.com – entitled “we’re fascinated by you”.. Is this the new Brokeback pitch by Mr. Gormless? I know they’re desperate for cash but that’s certainly a novel approach. Anyway, hopefully they’ll now remove my details. Either that or post an item of Rowan’s underwear. Quite surprising that there hasn’t been the usual barrage of pretend ‘angels’ (actually NW’s PR team) bombarding this thread with denials etc. Naked Wines is based on three con tricks. The first con perpetrated by Mr Gormley et al is that NW is a plucky little British independent company. It is not. It is wholly owned by the largest industrial scale wholesaler in Europe (and not British at all). Of greater importance is the con that NW wines are somehow all ‘small producer’, ‘independent’ winemakers. The truth is very different. The internet is full of posts of ex employees and producers who admit that actually a number of NW wines are just relabellings of bottles widely available in British supermarkets. Lastly, and most serious of all is the way they mislead consumers into unwittingly signing up to their Direct Debit programme. Given the huge penalties meated out by the FSA to financial services firms doing very much the same thing with payment protection plans it is amazing that that Naked Wines continues the practice. Maybe Mr Gromley is relaxed about it – the company’s German owners should surely investigate before the FSA or OFT get involved? They are rather more scary than the ASA. Francesca here from Naked Wines (our solo PR team). Can we assume you’re the same guy who’s posting the same comments everywhere people are discussing Naked Wines? But NEVER comes out from behind the curtain to reveal who you are…? 2) Yes, we are backed by a $600 family owned German wine company. And…? It means our customers’ money is safe and we have the resources to set up some of the best winemakers in the world in business on their own. 3) Every Naked Wines employee is a shareholder. Now how about telling us more about you James? Are you a disinterested observer or do you have an axe to grind? Naked Wines is a mis-selling scandel about to break. There was a piece on Radio 4 yesterday on exactly this topic (was a face cream seller) doing exactly the same as NWs – tricking people into making a ‘continuing commitment’ with the promise of suspiciously cheap goods. Yeah, right! This has already been disproved as total B********x on another forum. Yes, I suspect that a few people didn’t bother to read what they were getting in to. And if they cancel I have no reason to believe they don’t get refunded. I really am a real NW customer, and yes I pay £20/month to be an “Angel”, and, sometimes I buy wine with the balance that builds up. There is no catch. I like the way there is a sense of “involvement” with the producers. I also like the variety of wine I receive – on balance it is a better experience than the alternatives – my perception is the value ranges from good-ok through to amazing excellent. I have never had a bad bottle. NW are winning too many awards, and getting too many good reviews from angels and producers alike over too long a period for this to be a scam. It isn’t. Go in with your eyes open, and get some good value wine on your table. I am one of the first to complain if I think I am being ripped off, and this is not one of those occasions. I’ve been using Naked Wines for quite a few months and have had some very nice wines from them – I buy Groceries online as there’s no decent shops for miles where I live and work and this is as simple a way to buy wine. I read the info on the website before I signed up – which is always good advice that some people simply don’t follow. Overall I’m very pleased with the service, one case arrived with several bottles broken but a replacement arrived the next day. I too was surprised to find I had signed up to a £20 per month commitment – but accepted that I could get the money back should I choose to do so at any time, and have no reason to believe that this is not true. We get through enough wine in a large household for £20 a month to be relatively insignificant in the scheme of things, and I see NW as a good way of sampling some different wines and perhaps finding something special. The first twelve bottles I bought – a Christmas selection of reds – turned up the next day after my order and were excellent. As soon as my monthly payments had built up sufficiently to buy another twelve bottles – six red and six white with very good reviews – they arrived next day once again, despite a late order time, and they were all fine, some excellent. Shame I never keep the bottles or any record of what I like so I can reorder! I can see what the fuss is about with the sign up method – actually I was impressed because it totally played my instinct for a deal. NW is not a scam though in my opinion. I know other satisfied customers and would still recommend others join. I always imagined that some of the wines were well known wines or vineyards selling under different labels – this does not bother me, as long as they are cheaper! I’d be disappointed if some wines were not from smaller producers though, selling direct and cutting out the middle man. I’d also like to think these small producers are getting a better ‘Fair Trade’ type cut from NW than from selling via the big four grocers. They’d do well to die up with Ocado perhaps. It seems like only those with a complaint use these forums, which does create an unfair bias IMO. No – I’m not a PR for NW. One thing though, they did email me saying I hadn’t claimed my free bottle of wine (what free bottle?). Naturally tempted, I clicked through and searched and searched the website, but could not work out how to get a free bottle. Can anyone shed any light? Very surprised to see £20 taken from my account today. Checked the account online, couldn’t see any charges, called up and queried, slightly world weary sounding person fairly abruptly told me how to cancel account, refund hopefully forthcoming. My annoyance is that the half case was a ‘thank you’ from ecotricity, a company I like and respect and so I thought it should have been straight forward to log on and claim my ‘gift’. In addition to my address, obviously needed for delivery purposes, I was reluctant to have to enter all of my bank details. After a lengthy process, you just want to go through the check-out, and when the final step is a fairly charmingly written ‘would you be an idiot and walk away with nothing’ red button, or a green button ‘yes I’m a clever clogs and know value when I see it’ well, that’s just very bad business when a simple click means £20 monthly fees. When I cancelled my account I was faced with a very sarcastic page (really not amusing, and shouldn’t they learn something if this is in response to huge amounts of complaints, like, change the way they sell?) pointing out the terms and condition, please note that the font size alerting to the fee is barely 20% of the font size of the benefits. Additionally, an unexpected £20 out of your bank account actually could mean real hassles for some people. If I am going to agree to a company accessing my account and deducting any amount of money, I want something more substantial than a charmingly written marketing button: when will this money be taken, as a quaint starter. Extremely shoddy practice, does them no favours, and further disappointed to see that they are not the little independent flag wavers that their text suggests. I understand up-selling, and that nothing is ever totally free, but I consider myself fairly web-savvy and I’ve never fallen for anything like this before. My complaint is actually going to ecotricity, by association they are damaging their reputation (and so far, wine is quite average, a ‘free’ bottle always tastes a little better, but the rest is going for bbq summer plonk). I believe that this is totally misleading and I am not aware I signed up to any for of club and would not have even taken the initial starter pack if I had known they have debited my account 4 times taking £80 out of my account with no contact or statements given. I had also un subscribed from the constant barrage of emails being sent. on contacting them direct i asked for a full refund and was told it would be back into my account within 5 working days . Take a name of who you speak to as its easier to contact them again direct if no action taken .The wording is always if its too good to be true if probably is. We have had the same problem. Took a cheap offer and gave details for payment. In our case the company cold called (telephone) and asked if we were interested in joining the ‘angels’ group which meant paying £20 a month into our account, to be spent on discounted wine when we chose. We were unsure and asked for further information to be sent. The following day an email thanked my husband for joining the ‘angels’ scheme. He rang immediately and said that this was a mistake, asking them not to include him in the scheme. We have just noticed deductions of £20 for March and April. The latest call resulted in a promise to refund the money – hopefully this will happen, but we are shocked that they were able to do this without a proper paper agreement. Some people need to grow up. Every case I have had from Naked has been excellent quality delivered in less than 24 hours. The site is in no way misleading. 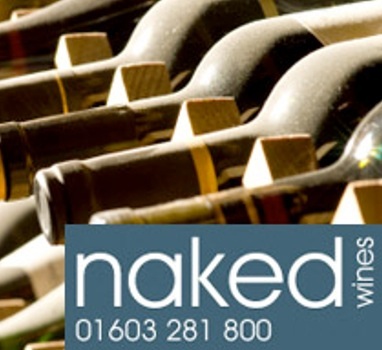 I was introduced to Naked Wines as they supply the wines for Cox and Kings wine club. They are the worlds oldest travel company founded in 1758 and would not be involved with any company that knowingly indulges in dodgy business practice. Keep up the good work Naked. This response sounds like a fake plant. I just received a coupon for $100 off a case of wine worth $160 or more… But after reading NUMEROUS reviews from disgruntled customers (that have the ring of truth to them) I am seriously disinclined to try it. The website only publishes glowing reviews. Yet less than 100% of clients recommend a wine – so where do the negative reviews go? I think the NW website is “sanitized”. And reviews such as this one seem fake. Too bad, as the concept would be great if it actually was true. I also ended up with an ‘angels’ account to the sum of £20 per month, upon challenging their ‘salesperson’, he admitted completing the account details on my behalf. Their sales script is such that they do not tell you Naked Wines will set up a direct debit on your credit card, they just get your agreement that you will be an ‘angel’, I was left with the understanding that I would need to set the account. I am still waiting for my money to be refunded. Naked Wines are no ‘angels’ in my mind. Reference my post 25 April 2012. Joshua Lincoln, Sales Director of Naked Wines has rung me, we have had a meaningful discussion and the situation has been sorted amicably. Josh has earned his ‘wings’. yup…totallly misleading advertising. Thought I was buying a box of wine using a voucher from Amazon. never appreciated that I had apparantly signed up as an “Angel” (what garbage is that !). I have been out of the country for few months and found they had deducted £20 per month from my credit card…account balance £120. The website (you get every penny back if you wish !) was hopeless and despite many attampts to cancel and get a refund it was simply not possible. The site led me round and round in loops. I phoned today and got a refund of £80…they keep £40 for some reason or other. Agree. They are being rather naughty. Caught me and I thought I had the experience to cotton on to that sort of thing. I joined NW, not the one that’s being talked about here though. It couldn’t have been because it was obvious what I was signing up for and when £20 was taken out of my account it didn’t come as a massive shock. Clearly I’m no financial expert as I was able to understand what I was signing up for. I understand that we now live in a blame culture, where if anything goes wrong it isn’t our fault, even if it is. Stop whining, learn how to read and take responsibility for your actions/box ticking. I agree must be a different company than that I am with. Been with them for about 3 years, wines normally delivered in 24 hrs, good quality. Again I cannot understand why people sign up to somethng without reading about it them moan. It is clear that all people want is the 40 quid that Amazon send them. I have just bought my first case of six bottles from NW using the £40 voucher from Amazon. On receipt of the order I discovered one of the bottles was missing. It happened to be the most expensive of the six bottles at £14.99. When I rang I was advised that they couldn’t send out one bottle of wine and if I wanted a refund it would only be for £4.15, which was one sixth of price of the case. The other wines were priced at £7-8. I didn’t want £14.99 and felt that as the voucher was for £40, each of the six bottles would have been reduced by £6.67 respectively. They refused to budge on my refund request of £8.32. The customer service at Virgin Wines is head and shoulders above NW. I too have received a voucher from a partner company offering me introduction to Naked Wines -they ‘offer’ a very limited choice of intoduction cases of over priced wine – on ordering I also appeared to have signed up to the angels thing and have been having money deducted from my credit card without my knowledge – this is infuriating as the credit card company will not help – naked wines have offered to refund but I feel tricked and will not use or recommend them – I would recommend anyone over this shower – try The Wine Society for a proper wine club or just go to Majestic – simple. thanks for all the comments. just got my voucher from Amazon and its going into the shredder!! We have had similar problems. Unknowingly became ‘Angels’ and have had £40 taken from our credit card. Still waiting for the refund. How do they get away with it? This has just happened to me so I emailed them yesterday and am waiting for a response – £20 went out of my account this week. I have no idea how they get away with it and indeed do feel tricked. I work in marketing and this is shocking tactics to get customers. I got the voucher over Christmas 2011 for a discounted case which I took up, and to be honest the wine was quite good. In March this year I had a telephone call from them asking me if I wanted to become an “Angel” along with all the sales speak. I told them to e-mail the details to me, which I never received. I have just got my credit card statement showing two payments to them of £20 each. After telephoning them and speaking to Scott who had rang me, I was basically told that as I had said that the “Angels” was a good idea and did offer value for money they took this as my acceptance of becoming an “Angel” even though I had asked for e-mail information and never consented to money coming from my account. I have now insisted that my money is returned, my account cancelled, and I am also in talks with my local trading standards who think I may have a case against them with regard to distance selling or similar. Will keep you posted about that. Should my money not be returned within 28 days, I am apparently within my rights to take legal action against them. Naked Wines watch out !!!!!!! Well anyone that has been ‘tricked’ I can see why but you must be daft. Received a voucher yesterday, £60 off if you spend over £100. So my colleagues and I clubbed together and bought a case. After the purchase 2 buttons popped up, 1 red and 1 green saying about the ‘Angels’ club, it was pretty obvious what they wanted and clearly mentions £20 a month payments, although conveyed as optional. Saw straight through the shoddy marketing and declined. Don’t know what the hoo haa is all about really, especially as you can get your desperately needed £20 refunded if you wish. Well said simon… its obvious. 5) We do not mislead customers in any way. To become an Angel you have to opt in and we confirm back to customers in writing. The ASA accepted that we made clear that Angels pay £20 a month, but wanted to make that more prominent, which we have done. Based on this comment why does Gail woods feel caught out. Moving on if you go to the virgin wines site they automatically enter you into their virgin wine bank account savings scheme @£25 taken off your card….Though is not made clear on the main page…probably hidden in the terms and conditions. They also promise that for every 5 pounds saved they’ll pay an extra one pound into your account. Something tells me that you only receive an additional pound when you credit your account with a further 5 pounds on top of the 25 you are paying in….I could be wrong ASA may need to investigate this to make this clear. Like many others on the naked wines site I am a happy customer. If they were rapped by the ASA, why are they still doing it? I just fell for the ‘trick’ too, despite carefully checking all their terms and conditions. I did not know it was possible for a company to take payment off your credit card without you authorising it. Am cancelling my account immediately. DO NOT USE NAKED WINES. I’m not stupid, but I fell for the twenty quid month ruse too! I decided to give them the benefit of the doubt and, in fairness I had several cases of wine ranging from foul [collected and refunded to my account in 72 hours] to very good [and re-ordered]. However, when I got bored and then irritated by emails and phone calls and tried to cancel my account, the £40 offered on opening it was kept until I challenged Gormley, so in relatioation I opened two different accounts with big fat vouchers from Amazon, bought boxes of wines I’d liked and greatly enjoyed the huge idscounts. Which then leads me on to say, there is no such thing as a free lunch, nor cheap wine. The sales prices all allow for the discounts from Amazon and other retailers that entice you in as well as the Angel caper. So, go into it with your EYES WIDE OPEN if you feel you must, but there are better wines and better value on your local supermarket shelves! The illegal Ad i STILL UP! Naked Wines are gangsters and the UK is a farce- it lets people break thre law. CORRECTION (PREVIOUS POST SENT BEFORE COMPLETION): I received a NW £40 “GIFT” voucher from CheckaTrade for entering a positive review. I became suspicious when NW recommended a case for 39.99 and yet charged 4.99 p&p+delivery because that way these strangers would need my card details which I am reluctant to release to unfamiliar organizations (they say thats to help ensure they get your delivery adress details right etc – but surely if you want your wine you’d give ‘em the right address, no its a plain and simple higher than average risk dealing with unknowns on a too good to be true basis IMPO!). 1. NW call me an angel and take 20pm for life for the complement. For that i’d expect a certificate valid in heaven+wings. 5. Too good to be true. But then you wake up from the matrix or post a positive comment here. If the unknown/unexpected 20 quid were not bad enough, it is possible that a catalogue-style organization you don’t know could deliberately bulk in x% of bad products with the good in the hope that less than x% of customers bother to complain because 100-x% of the product was not too bad. I’ll give this one a miss thanks to the kind people who shared their experiences – this is not one for me. Another pair of suckers here. We signed up without realising after getting an Amazon voucher – checked and checked again the terms and conditions, which said we wouldn’t need to buy from them again. Well you do unless you cancel otherwise you’re just giving NW £20 of your salary every month! Anyway, saw that £20 came out today so have cancelled after my email asking for confirmation that we would not be paying regularly went unanswered. I’m pretty sceptical about these companies, having worked in the vino business. The average margin is 30% so offering 47% discount, means they are selling at a hugely over inflated price. I’ve also seem advertised ”only 400 cases’ to encourage you to buy, I’ve then looked on the system and seen there’s 1000 cases available! It is pretty shocking how many people on this thread feel duped by Naked Wines. But the scary thing for me is asking where these huge amounts of cash are actually going. Mr Gormley is very fond of pontificating about NW ”supporting struggling winemakers etc.”. But is this really where the money is going? According to the their recent Companies House filing, in 2011, NW’s net loss increased dramatically from £861k in 2010 to £1.6 million in 2011 – even though revenues more than doubled. This is not normal. The company has in fact never made a profit as now has accumulated losses of over £5.5 million. But that isn’t where the red flags end. Of more concern for the ‘Angels’ who appear to be bankrolling the losses, should be that the filing shows NW owing a huge £1.25 million to the taxman. Owing huge sums to HMRC is usually a serious warning sign (ask the creditors of Rangers Football Club). How they have managed to run up such a hugh liability with only 45 staff seems very concerning. When Oddbins went down recently it was because HMRC finally ran out of patience and pulled the plug on it (after have bankrolled it for a long time). NW now has a whopping £1.3 million of client’s money on it books. Rowan recently said that this money is “underwritten” by a wealthy German family. That is not true – at least as far as I can see. If you read the T&Cs of the Angel contract you will find no such mention of any such guarantee. In fact, the only guarantee given is that you can apparently ask for your money back! Well try do that the morning after the Administrator is called in. I also recall Rowan saying in the middle of last year that NW was “profitable”. Clearly that wasn’t the case either. All maybe absolutely fine at NW – but if it suddenly goes pop and the ‘Angels’ take a £1.3 million bath no one could possibly argue that the red lights weren’t flashing long before …. Comparing Naked Wines to Rangers and Oddbins, because we have a tax bill, is like comparing Celine Dion to AC/DC because they both wear sequins. When we launched Naked we said it would take us 5 years to break even, because you don’t get to build a business like this without a huge investment in winemakers and customers. We are actually a year ahead of that schedule. If you want to test the odd bins analogy further, why don’t you go to our site and ask our winemakers if they are being paid on time? Or if we are actually funding them in advance, as we have been saying all along? 2-3 units a day for women, and 3-4 units a day for men, with at least 2 alcohol-free days each week. That’s all I’m saying people, let’s keep some perspective 🙂 Thank you everyone for the posts, you’ve helped me, just thrown my naked wines voucher in the bin (was considering purchasing). I’m too much of a health promoter at work (and at heart) to be honest so prob the wrong audience anyway. I got caught out on this too and have just cancelled my account. I hope they refund the money they’ve taken like they say they will. It’s a very strange marketing ploy because after receiving an initial order that I was delighted with and great customer service, it’s now left me with a very bad feeling about this company. I too was not pleased to see £20 being taken out of my account. When I got the offer voucher from Rapid Racking I thought it was becasue we had just placed a large order with Rapid Racking and was being rewarded. I carefully looked at the voucher and ordered the wine on line. I noticed that you could be an Angel but ignored it. I also saw they said I would not be bothered with email promotions. I went on holiday just after the wine turned up, When I got back I saw my credit card had been charged for the wine plus £20 which I thought was shipping charges – worng it was an Angel debit. Then on Oct 1st another £20. I have told the credit card company to dispute the transaction. Only after finding this forum do I now see its all too common to become an Angel. I am chasing for my refund and have told Rapid Racking to stop using these vouchers. Also I have not been impressedby the quality of the wine. I would advise anybody taking up the offers to avoid doing so, its just a con to get a regular income. Sounds like Vista Print’s “Rewards” scam a few years ago and thanks to these forums for airing them for what they are! I was a regular with Vista Print and despite being relatively savvy with online purchases, was duped into a regular monthly club which I had no desire to be in. I had been passed a Naked Wines/Amazon voucher by a colleague and was very interested, but became sceptical when the “enter voucher” offered little details of the offer. Fortunately I found this forum and suffice to say I won’t be proceeding further, just like I’ve never used Vista Print again, which is a shame as their prices and products are good deals, as I’m sure NW are. Maybe these businesses will learn that misleading potential customers only tarnishes their brand and reputation. Just be up front about what you’re doing – if it’s a good deal people who are interested will take it up and for those who are not interested in a longer term commitment will not go further but will be complimentary of your honesty. Your businesses may just last longer. Just joined today, the Angels thing is pretty clear imho. There appears to be a lot of surprise from people I can only presume click buttons without reading what it says. The offer seems to apply to all listed wines so is not just on selected items and is at least 25%. I think the Virgin wines FUD engine is at work or IQ’s have fallen sharply lately. Just had a phone call from NW telling me I had a healthy balance with them, No idea what they were talking about! I fell for their cheap trick in July. I have demanded a refund- woner how long I will have to wait. Like a lot of other people I ‘signed’ up for the becoming an Angel, I’m positive that the button said complete a survey and get £40 on your account. I wasn’t until I found myself filling in details that I realised what had happened. I cancelled the account pretty quickly and got an email confirmation but am now wondering if my credit card is suddenly going to be debited every month. Will have to make a note in my diary to check. Can’t believe I was taken in so completely and if the order had gone smoothly I probably wouldn’t have thought anything else about it. If the wine turns up it’ll be interesting to see what it actually tastes like. Another idiot here who found himself, unknowingly, signed up as an “Angel” and £20 monthly being deducted from my credit card. This is an incredibly underhand way of doing business and like others, I am now wondering when I will get my refund. It is a great shame that they need to do business this way because the wines I have bought – 2 cases to date – have been excellent. In my eyes they demonstrate sharp practice as clearly evidenced by the experience of others. OK, so I am a Brit living in the US for the past three years. Yes, I received the $100 gift voucher for the newer, US branch of the operation. Yes, I also opted to do the Angels thing at $40 per month. I can ask for that money back at any time. Two out of the three wines I have tried already have been top notch and amazing value. The other was of a decent quality at the Angels price 40% off. There is a $1.00 bottle available to Angels every month but unfortunately when I tried to add it, it couldn’t be shipped to West Virginia. An email was answered same day, and I was offered another bottle.. retail value $19.99.. and would that be OK? You betcha! Rowan, bless him, also gave me an extra $15.00 credit for the trouble. I have NO problem whatsoever with Rowan Gormley over here! I was caught out too. Won’t use this company again ever. I’ve bought 25 bottles from them which averaged out around 6 pounds a bottle and while some are decent, some are not. On average they are not better value in terms of the quality of the wine than buying at the supermarket, who do not require you to buy a minimum of 12 bottles per time. I will go to the Credit Card company and complain that I was duped and send them a link to this article. That is easier than dealing with Naked Wines customer services. Just a quick warning, which will be too late for others..
£60 naked wines voucher when buying a £99.99 or more case of wine, plus £4.99 delivery..
Must be use within 30 days of receipt – this is a fake “hurry up” situation as they have no way of knowing when you received the voucher.. This voucher was in the “bounty pack” we received when put twins arrived in Worthing hospital. Feel free to use my voucher, as I am not going to if you can set up a new account be my guest..
Who knows, you may be able to use it again and again. I found this thread as a result of Naked Wine’s constant torrent of e-mails so hacking me off that I have closed my account and asked for a refund. Despite de-selecting all “contact me” options the e-mail continued to come thick and fast so I contacted their help desk. More than once. And still the e-mails arrived – and continue to arrive in my spam filter, even after account closure – like some incurable disease. Just what do they hope to achieve? I am not an “Angel”, I don’t evangelise over wine, and NW’s behaviour makes damn sure that I’m not going to eulogise over the business either. It is a wine shop. Somewhere to go to buy wine. Not a religion, a cult, a fashion statement, or anything else. Yes, I too was one of those initially duped by the £40 Amazon voucher. I am a PROUD angel of NakedWines.com and I love their product and service. They are a benchmark business structure. I cant wait to find such a business in the cigar world emerging. I found no problem with the program or any misleading representation. It seems there are too many people living their life only half-consious of what is plain in front of their face – thats why I cant stand watching TV anymore. Accidents do happen, and if that is the case my personal experience with customer support at NakedWines.com leads me to believe that they are very friendly helpful folks who would gladly correct any issue. Heck, they’ll even refund your money for a bottle you did not fully enjoy. And FYI, I am not affiliated with NakedWines.com in any way. I just love what what I bought and who I bought it from. Do you know that you are paying more than these wines are really worth? The ones I have actually found elsewhere are all at “angels” prices or, more often than not, are cheaper. I was duped too…..
Another genuine Angel here. Sitting quietly on a Sunday night, rue smile on my face at how desperate some people are to scream ‘conspiracy’!!!! The wine is good, £20 is, frankly, peanuts, and he hugely oppressive advertising that people are moaning about, isn’t that bad. I suspect older generation, children have left home and so ‘let’s complain to fill our lives’ syndrome is in place. Well, I too joined as an Angel as I was being offered a free case of wine by uswitch for switching energy provider. All I needed to pay was delivery. I was never made aware of my cards details being kept for monthly instalments and 3 days ago my account was debited. I was surprised, perhaps a little annoyed because I had no idea why this amount was being taken. I was promised a free case of wine by Uswitch for changing supplier.Same thing, ended up becoming an Angel without giving express permission.I never received a voucher and on contacting Uswitch was just given a code over the phone.I thought it was they who had given me the wine.It appears they were just a partner for NW. You have to give card details for paying the postage.I rang and emailed asking for my account to be cancelled.I was told it was and also received an email confirming it had been cancelled.It clearly hadn’t been as today, I still managed to log on and find I had an account.I rang again and was told my account had been cancelled and I would not be getting hit for £20 in the future or receiving emails. The thing that is most annoying is that NW know full well there is an outcry about their marketing tactics but persist because there is a greater uptake than fallout.I love the way they have a team monitoring all “scam” forums. The irony for me is that like others had I not been duped I would most likely have joined.If they do try and take me for £20 at least I have an email saying my account is closed.In short , a lot of inconvenience and a perfect way to lose a lot of business or indeed gain it depending on your level of gullibility or trust . I too got caught on this one. I wouldn’t call it an outright scam, but it’s pretty deceptive and reliant on people being too busy to read every bit of info available. As someone else commented, I’m pretty Web-savvy, and have never been caught up in something like this before. It’s pretty obvious that they’re trying to hide something when the actual ongoing payment is buried in the Terms and Conditions as a dot point halfway down the page, and called simply a “TOP UP”. I’m waiting to hear about a refund, but I’m also contacting the Australian Competition and Consumer Commission to let them know about this dodgy practise. I can’t understand what people are complaining. I redeemed the coupon, paid the balance for the case and then got a pop up with a red button and a green button. It’s asks if you would like to be an angel and offers you an additional credit to do so. It explains that angels are charged each month, get better pricing and that the monthly charges are fully refundable. Is it marketing? Yes. Is it a scam? No. You pushed the green button. If you don’t want to continue, ask for your money back (per the terms of the offer). And they are not going to give you MORE money back as some have suggested here. The credit they gave you for signing up is not going to be given to you as cash. And I’m sipping a lovely NW rose as I type this.